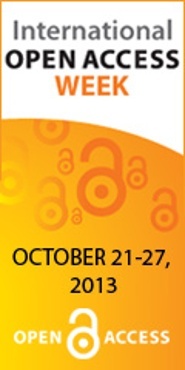 Open Access Week is a global event now in its 6th year, which promotes open access as a new norm in scholarship and research. Open access (OA) content is online, freely accessible, and has relatively few or no restrictions on reuse. All this week (October 21-25) at Columbia, the folks from the Scholarly Communication Program, an initiative of Columbia's Center for Digital Research and Scholarship, along with our friends at Columbia Libraries/Information Services, will be out on College Walk (next to Sundial) from 9am-4pm talking to students, faculty, and staff about open access, its benefits, and why it's relevant to them. This entry was posted in Uncategorized on October 21, 2013 by Ted. Noted Wright scholar Anthony Alofsin will present "Frank Lloyd Wright and His Taliesin Letters" on October 8, 2013 at 6:30 PM in Butler Library room 523. This is the first in a series of lectures on Wright focusing on the extensive Frank Lloyd Wright Foundation Archives jointly acquired by the Avery Architectural and Fine Arts Library and The Museum of Modern Art in fall 2012. Alofsin is author of some of the most highly-regarded books on Wright, as well as curator of Wright exhibitions. This lecture celebrates this fall's opening of the Wright archives at Avery for research. 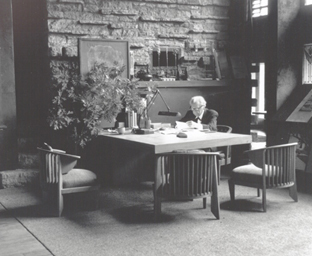 Anthony Alofsin, the Roland Roessner Centennial Professor in Architecture, Professor of Art and Art History, The University of Texas at Austin, will discuss the extensive Wright correspondence now held at Avery, and his much consulted five-volume reference work, "Frank Lloyd Wright: An Index to the Taliesin Correspondence." Lecture will be followed by reception. This entry was posted in Drawings & Archives, Frank Lloyd Wright Foundation Archives on October 2, 2013 by Ted.